"I am sick and tired of being sick and tired." 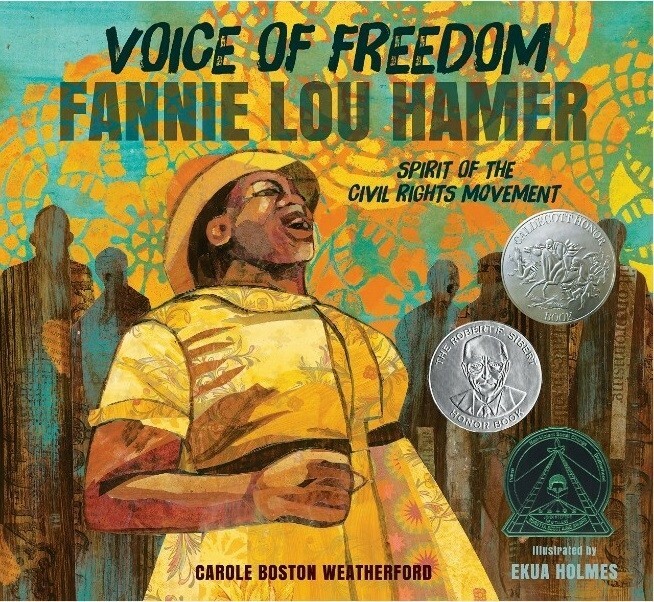 Despite fierce prejudice and abuse, even being beaten to within an inch of her life, Fannie Lou Hamer was a champion of civil rights from the 1950s until her death in 1977. Integral to the Freedom Summer of 1964, Ms. Hamer gave a speech at the Democratic National Convention that, despite President Johnson's interference, aired on national TV news and spurred the nation to support the Freedom Democrats. 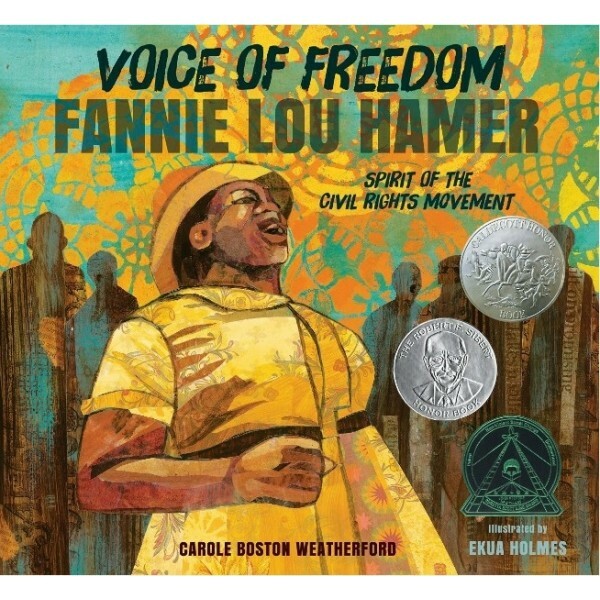 Featuring vibrant mixed-media art full of intricate detail, Voice of Freedom celebrates Fannie Lou Hamer's life and legacy with a message of hope, determination, and strength.